Another Scandinavian youth football competition held annually which we will have a look at on the DB Sports Tours blog this week will be the Norway Cup. The Norway Cup is held in Ekebergveien, Oslo, at the end of July each year. 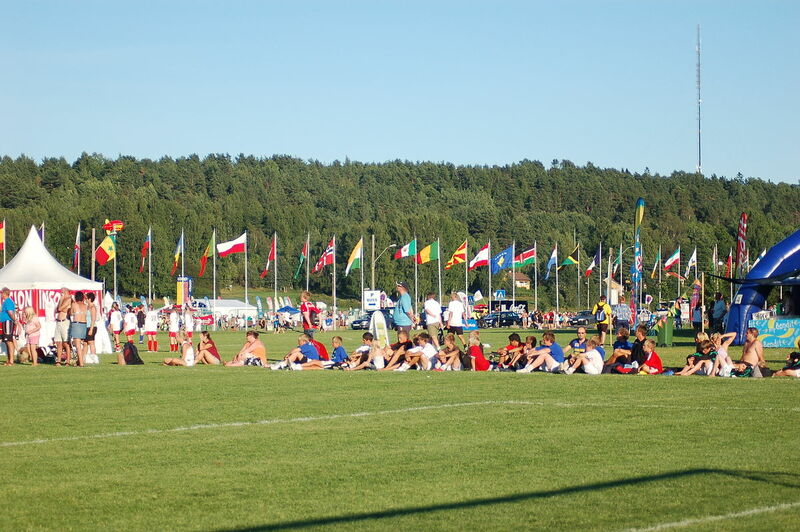 The Norway Cup claims to be ‘world’s largest football tournament for children and young people’ aged from 10 – 19. The 2016 edition of the Norway Cup saw 2,199 teams participate – an all-time high. Furthermore, the Norway Cup 2016 edition was so big that over 6,000 games were played throughout the course of the competition. The Norway Cup was founded in 1972, wherein 420 teams took part, while over 8,400 players participated. The Norway Cup is organised by Bækkelagets Sportklub, a Norwegian sports club from Bekkelaget in southern Oslo. The Norway Cup starts with a ‘spectacular parade’, their site says. The parade consists of ‘participants wearing their team-kits and wave with various flags’. Their site stats that ‘will start at Ekeberg Camping, go across Ekebergsletta, down to Norway Cup main square where the opening concert will be arranged’. Notably, the Norway Cup hosts boys’ teams, girls’ teams, and a mix of boys’ and girls’ teams. As is the case with many of the Scandinavian youth football competitions, accommodation will be set in local schools. The Norway Cup opens up many varied avenues for i’s particiapants, and on their blog we hear of one interesting story regarding a past participant, Mohammad Dajani. Taking part in the Norway Cup led him to studying sports and ending up with Josè Mourinho as a lecturer. It all started in 2005, when Mohammad came to Norway Cup from Palestine, Jerusalem, as one of the many teams and players that Fuad Timraz has taken to Norway. The full story can be read here. If you are interested in hearing more or even registering your team in the Norway Cup you can visit this page, or contact our offices here. In the meantime don’t forget to read rest of our regularly updated blog here.